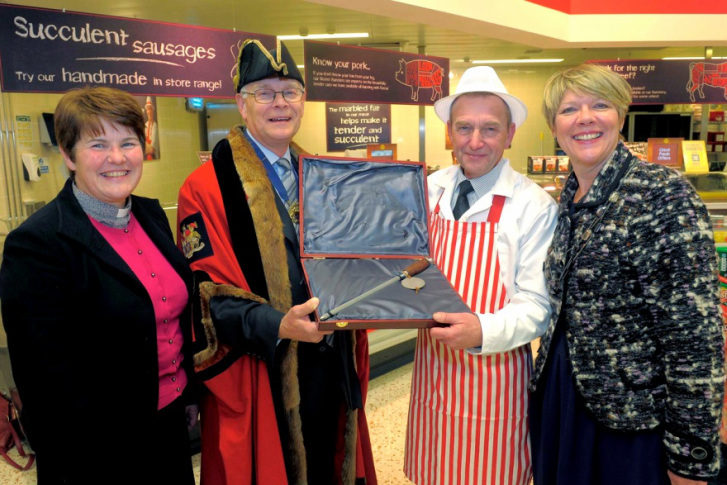 The Master was delighted to mark the 70th anniversary of the restoration of the Gild since its renewal in 1943, by presenting a butchers steel in recognition of someone who had made an exemplary contribution to butchery. 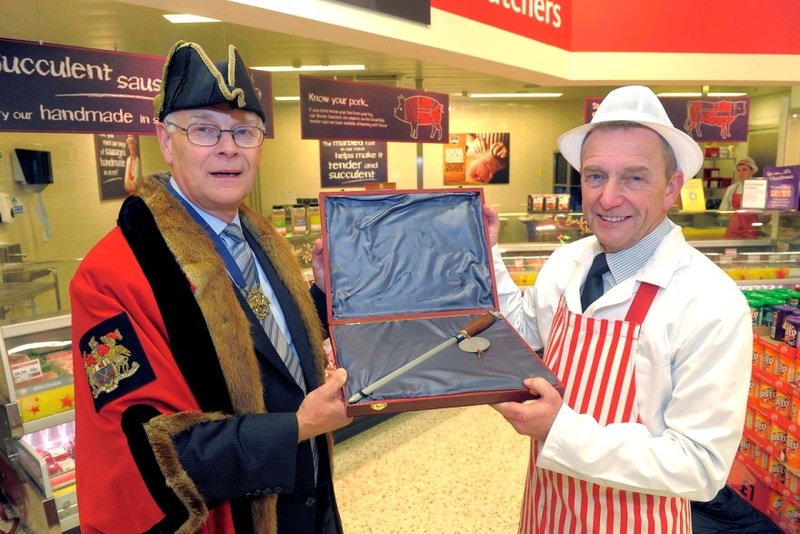 The presentation was made to Roy Craven at the Morrisons Supermarkets new Foss Island store in York, on the afternoon of Tuesday 3rd December 2013. “Firstly, I would like to thank Chris Meadows, Corporate Affairs and Communications of Morrisons Supermarkets, and Jane Nattrass, Chaplain to the York Gild of Butchers, for their part in helping to organise this presentation today. 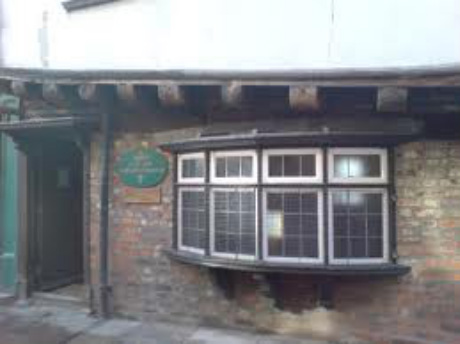 The first record of a Gild structure in York, including Butchers, appears in the Freemen’s Rolls of 1272, and a key activity of these Gilds was to ensure that standards of workmanship were protected through the apprenticeship scheme. It is therefore extremely encouraging to know that Morrisons Supermarkets is one of the largest providers of apprenticeships in the UK, if not the largest, and that they have successfully trained over 1500 young people so far in butchery and bakery skills. 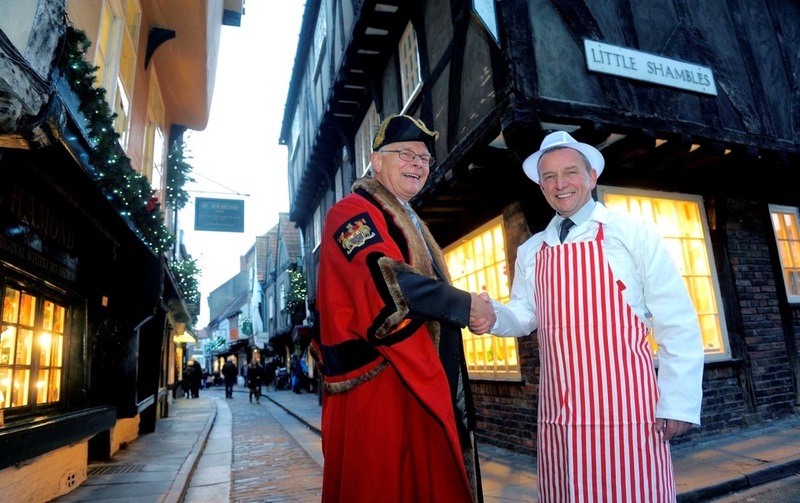 The York Butchers Gild continues to do its part to highlight the importance of apprenticeships, and is keen to develop a permanent exhibition about its history from its roots in the Shambles area of York, including the original development of apprenticeships, and the relevance of this legacy to today’s meat producers. History of course reminds us that things do not always go smoothly, and in fact membership of the Butchers’ Gild dwindled to just one in 1940. Fortunately continuity was ensured when new members were sworn in, and following this renewal the first Master took office in 1943. Also attending the presentation were the Gild Chaplain Jane Nattrass, and the Chairman of ‘Visit York’ Jane Lady Gibson, who is the wife of the Chairman of Morrisons Supermarkets, Sir Ian Gibson. 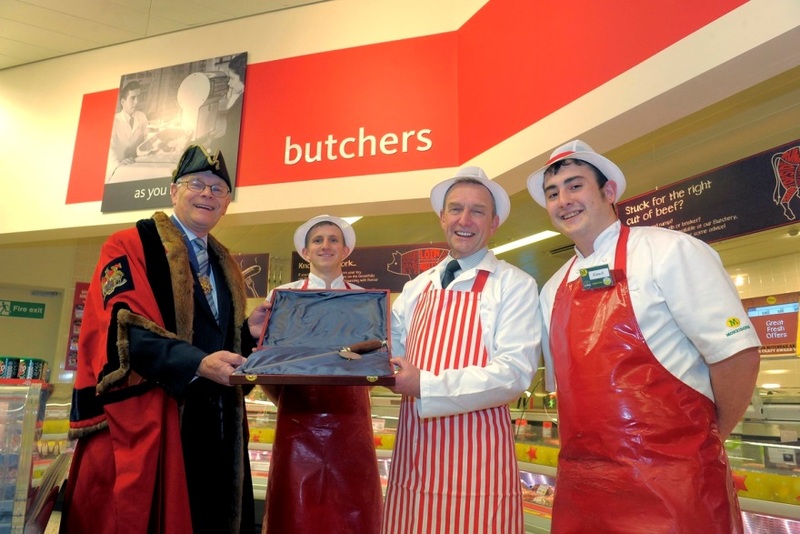 The presentation was witnessed by a couple of young butchers working at the meat counter in the Foss Island store, and who were keen to know what was going on! 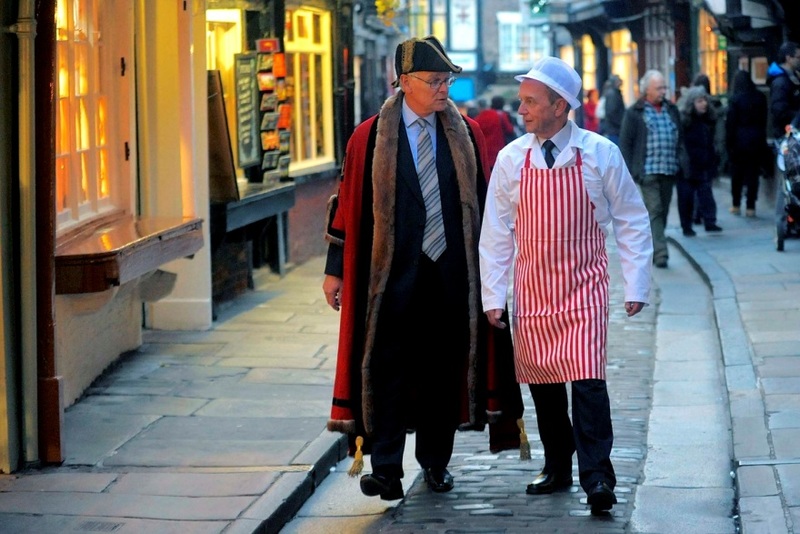 The Master then took Roy to visit the Shambles to explain something of the history of the Gild of Butchers in the City of York. 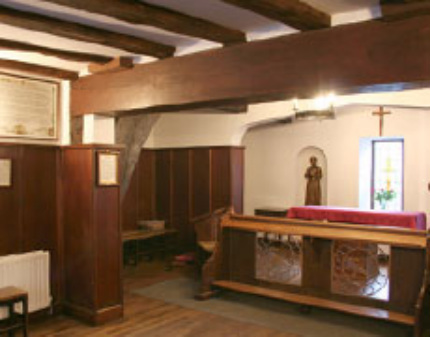 Roy Craven had heard about St Margaret Clitherow and was very interested to see the butcher’s shop where she had lived; and so he was able to visit her Shrine.